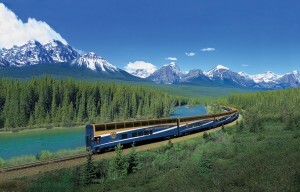 The special feature of this package is two nights at the Fairmont Chateau Lake Louise. No other short package offers this feature. If you want to tour to the Columbia Icefield and ride the Ice Explorer onto the Athabasca Glacier during your free day at Lake Louise, we can add that to this package. If you choose to spend your free day at Lake Louise, you can stroll along the lake shore, hike to a nearby tea house or shop at some of the wonderful shops located in the Chateau. 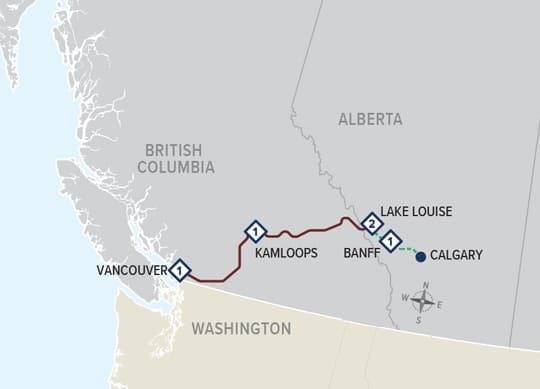 Banff offers optional Gondola ride to the summit of Sulphur Mountain, evening raft floats on the Bow River, the Upper Banff Hot Springs and shopping and great restaurants in the most vibrant community in the Canadian Rockies.